What is the Children’s Shelter of Hope Foundation? Children’s Shelter of Hope Foundation is a small, compassionate “grassroots” US non-profit corporation dedicated to improving the lives of disadvantaged children living in the Bay of Banderas area of Mexico. Our hardworking, “hands-on” board is involved directly with providing financial, volunteer, and material support for basic monthly needs and special projects that will offer hope to the children and make a major difference in their lives. This keeps our expenses at a minimum (under 2.7% in 2017) and creates a board with direct knowledge about the needs of our projects. 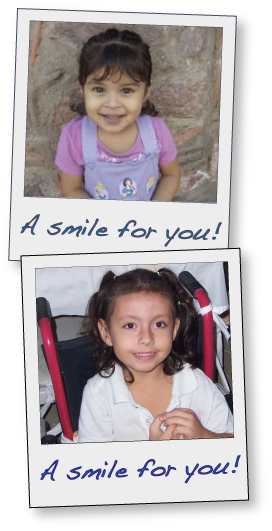 Since our acceptance as a US 501 (c)(3) charitable corporation in February 2003, we have been primarily involved with assisting special projects for children in the Puerto Vallarta area. These currently include: 1) Pasitos de Luz– an amazing free daycare center that provides essential health and educational services for poor children with major disabilities; 2) Corazón de Niña– an inspiring family-like home/shelter for teenage girls and boys and their younger siblings; 3) Sendero/New Beginnings– a program which supports the educational, psychological, and health needs of children and their families living in the Bosques de Progreso area (near the former dump); and 4) Houses for Hope – providing clean, safe, secure housing for very poor families. In addition, we fund a scholarship program – SOS– for exceptional students in middle school, high school, university or trade school program who would not be able to attend school without our financial support. And, we have recently begun giving monthly funding to Volcanes Kids Education Program– a before/after school community support center that offers English classes, a computer lab and library, music and dancing instruction, a book club, etc. to 400 students in grades 1 to 12. Our Foundation plays a major role in providing monthly financial support for all of these projects. 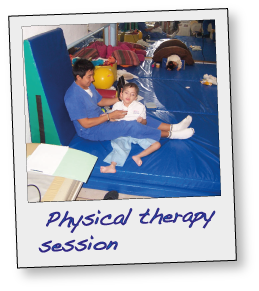 For several years now we have concentrated mainly on raising funds to cover basic needs, staff salaries, educational supplies, utilities, shoes and clothing, food and medical bills – the basic bones which allow these special places to operate and offer excellent care to the children. Educational support has been a top priority, with funds being dedicated to such things as “homework club” tutors, registration and tuition fees, special scholarships, educational equipment, and basic school supplies. Donations have also been made available for medical and dental emergencies, hygiene and safety issues, specialized medical treatments, and building improvements that directly benefit the children. People have commented frequently that a unique and attractive feature about our foundation is that we are small and personal. We are careful guardians of the donations entrusted to us and do the very best we can to fulfill our promises to the people we work with and to the children. WE CARE and we want to make a difference. Our contributors find our efforts to be inspiring and worthy of their trust. Together we have impacted the lives of many. Please join us in our efforts to offer hope by sending a donation now. I am a retired psychologist and former teacher, from Canada, who has volunteered extensively around the world. If I can be of help, I could give you a number of months. I speak intermediate Spanish as well as fluent English and French.